George L Canterbury, age 64, Passed away at the Pikeville Medical Center In Pikeville, Kentucky, October 26, 2018. George lived at Breeden Creek, Dingess, West Virginia. Mr. Canterbury was born in Logan, WVA, January 11, 1954, the son of the late Rudolph Valentino and Lula Elsie Meade Canterbury. 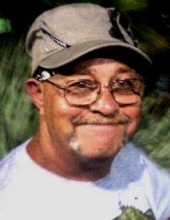 George had worked as a underground coal miner and coal plant operator for twenty three years. He was a member of the Garretts Chapel Church since 1978. He enjoyed dirt track car racing, and was called George of The Jungle # 12. George was preceeded in death by his parents, and two brothers, Riley and John Canterbury, and one sister, Janet Lee Vance. his survivors include; His wife, Emma Jane Neace Canterbury, two sons, George Lewis Canterbury of Chapmanville, WVa, Timothy Allen Spence Jr. of Saint Albins, WVa, four daughters, Tonya Elaine Canterbury McIntire of Hickory, North Carolina, Christina Lee (David) Adkins of Ranger, WVa. Amanda Jane (Larry) Duffield of Jacksonville, North Carolina, Lola Eileen King of Barboursville, WVa, one Brother, Buss Canterbury of Georgia, and one sister, Verna Miller of Logan, WVa. George was the loving grandfather to thirteen grandchildren and three great grandchildren. George L Canterbury shall forever be Missed and loved by his many friends and family. To send flowers or a remembrance gift to the family of George L Canterbury, please visit our Tribute Store. "Email Address" would like to share the life celebration of George L Canterbury. Click on the "link" to go to share a favorite memory or leave a condolence message for the family.